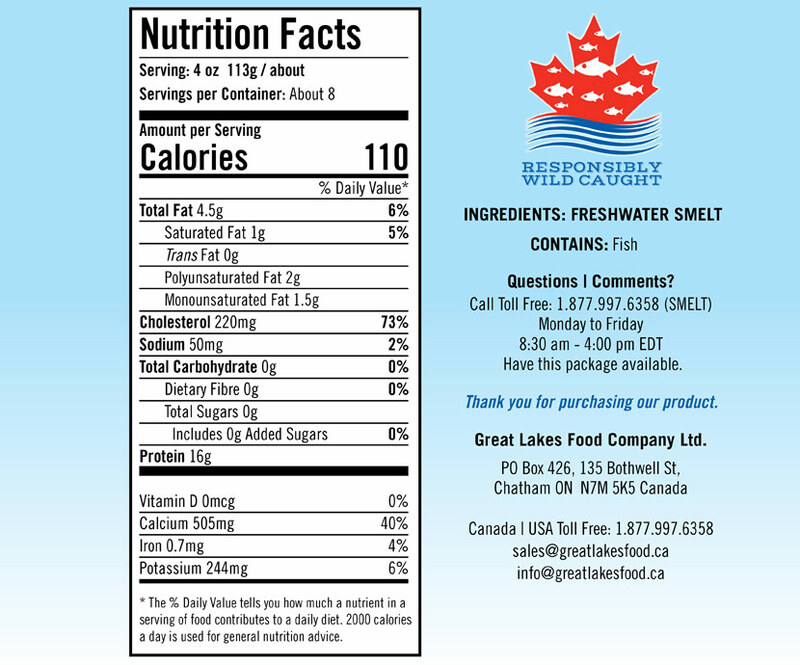 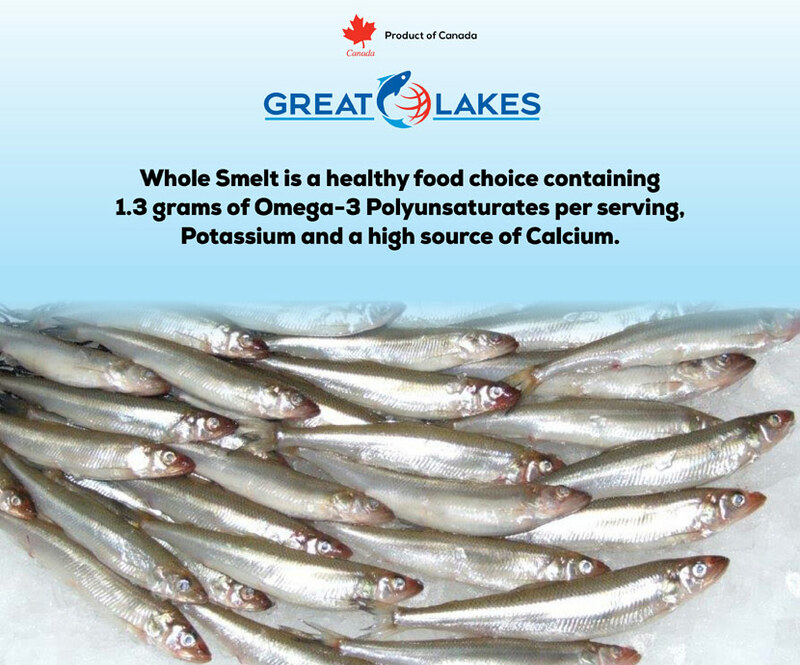 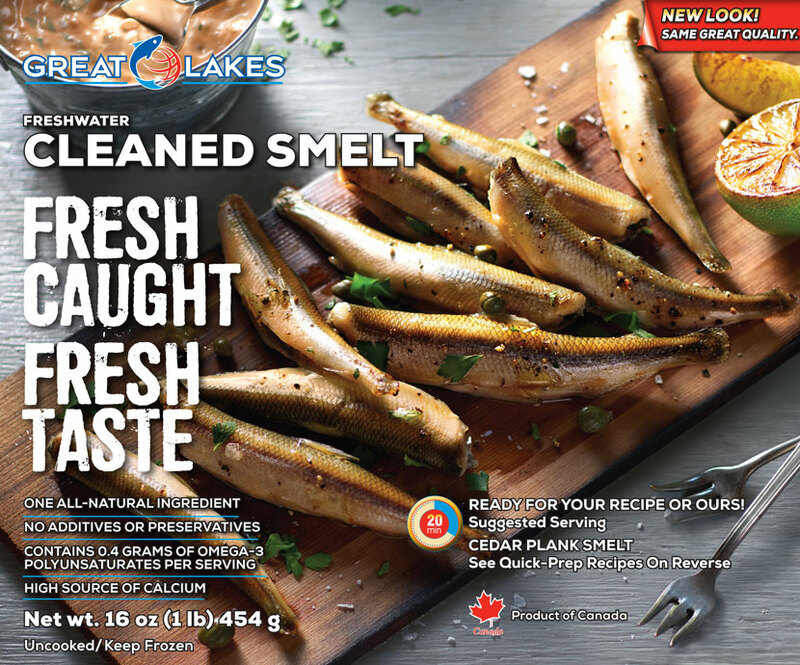 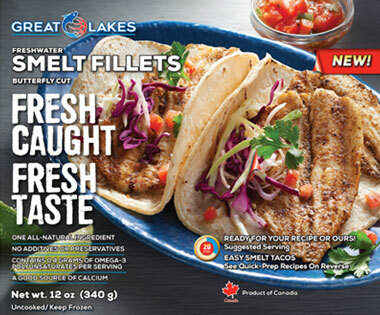 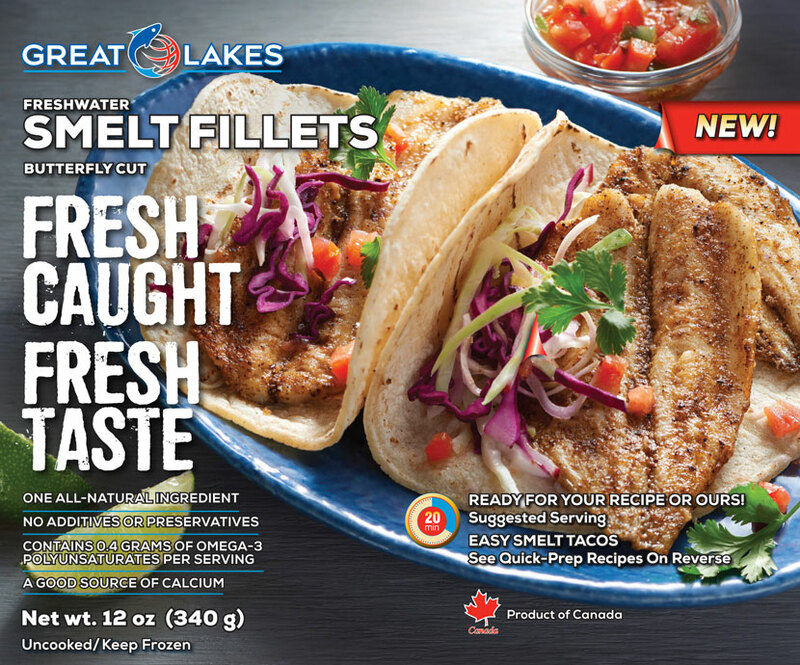 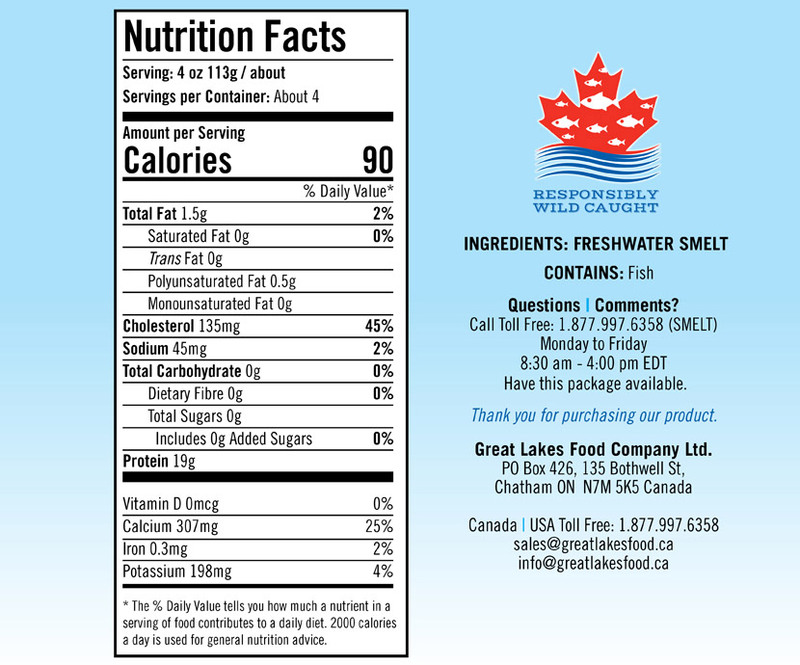 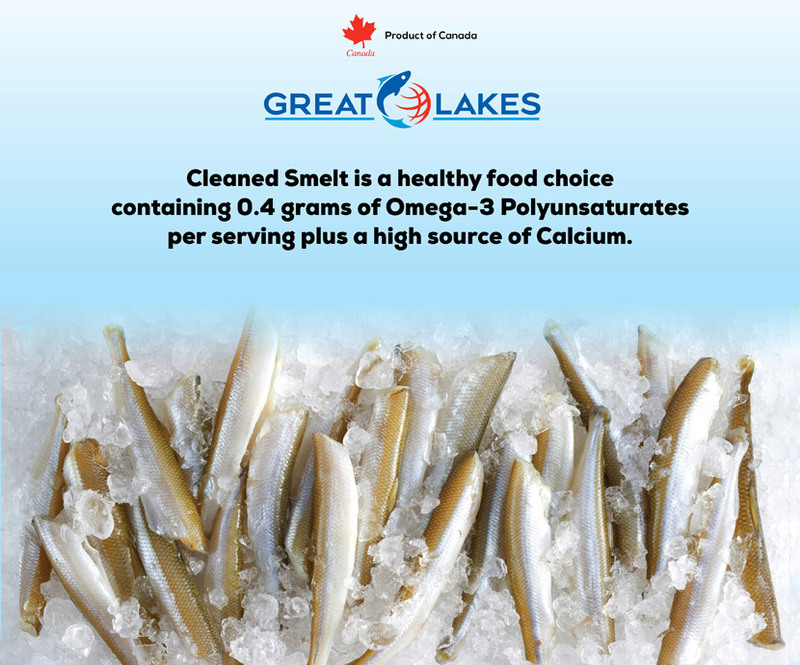 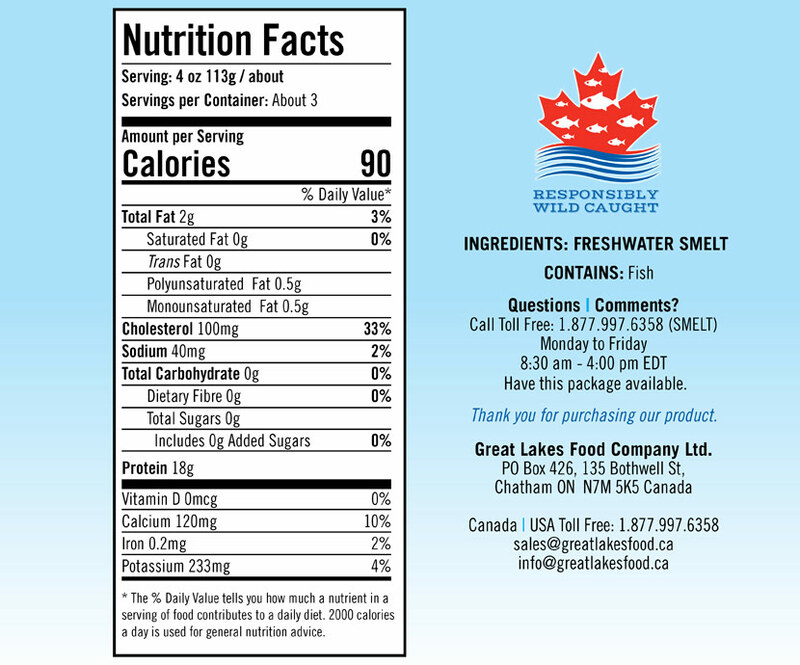 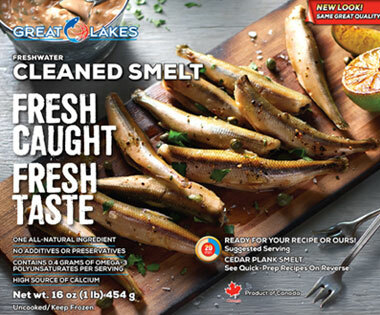 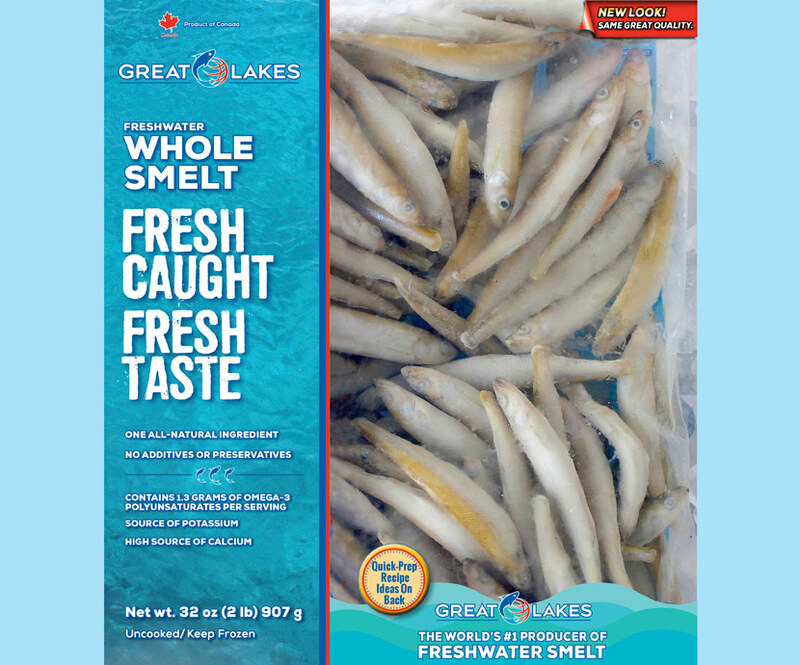 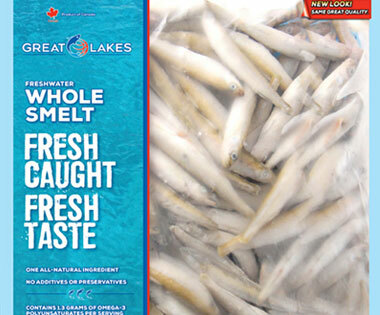 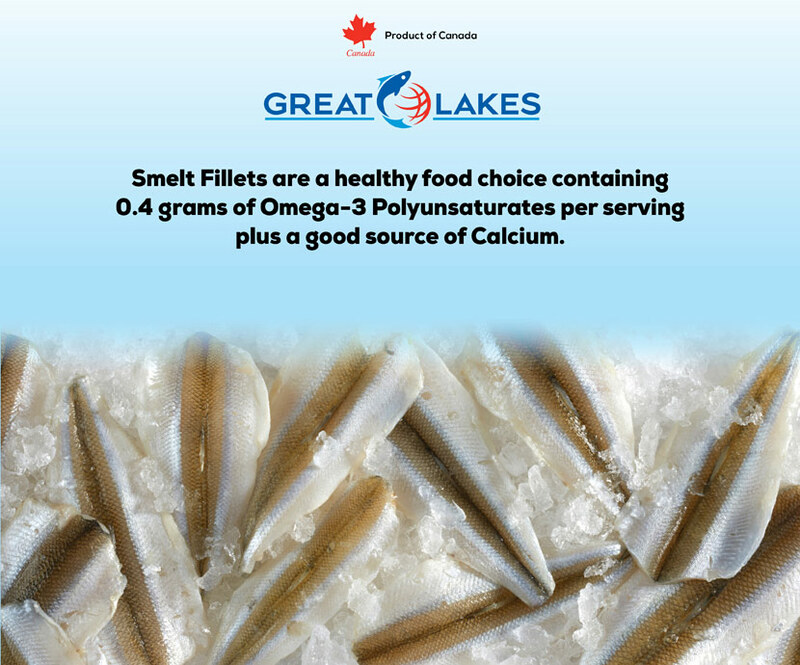 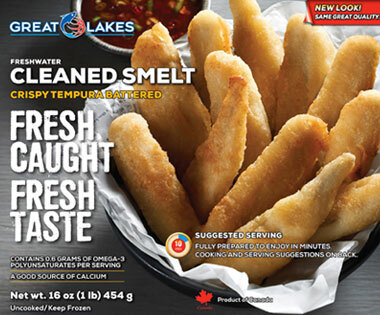 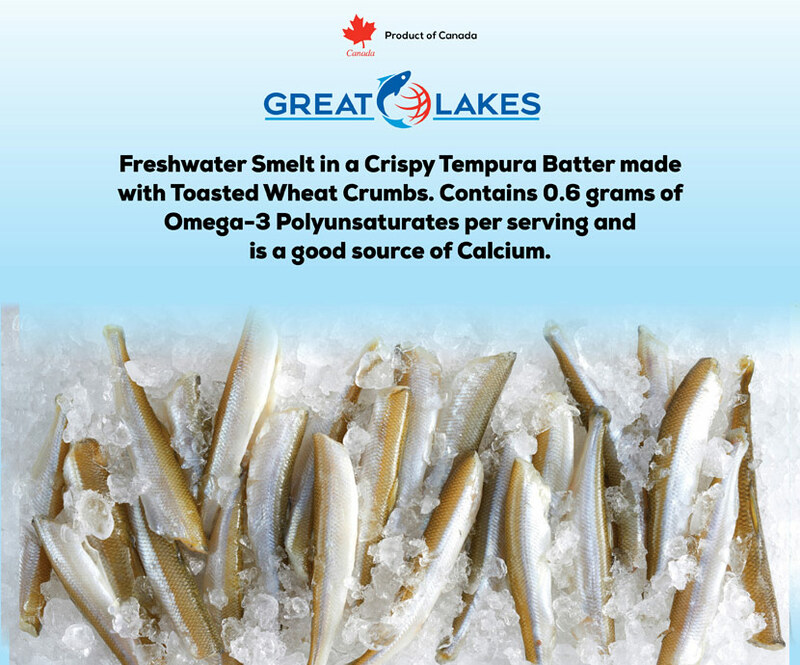 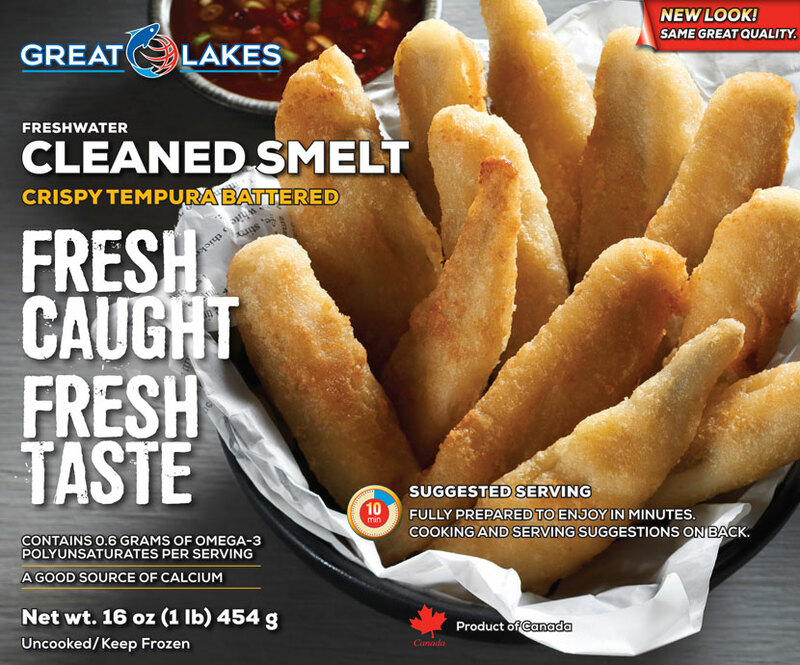 Freshwater Smelt, sustainably harvested by Great Lakes Food Company from the cool waters of Lake Erie in Ontario, Canada, are a food service favourite and consumer’s choice around the globe. 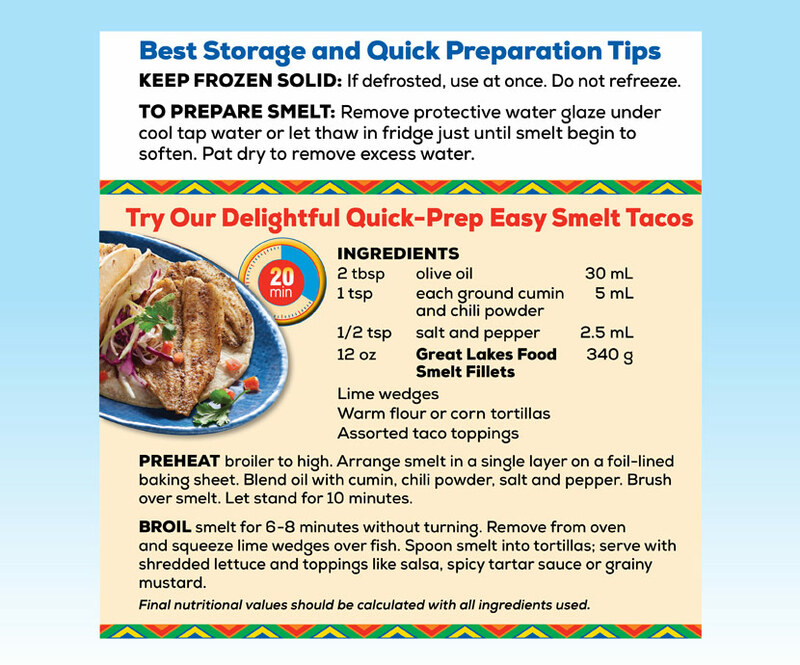 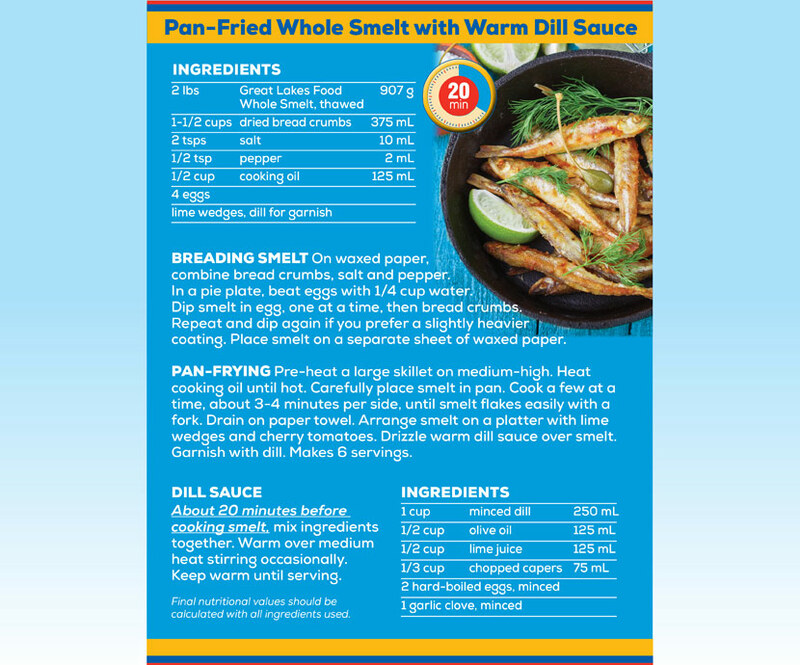 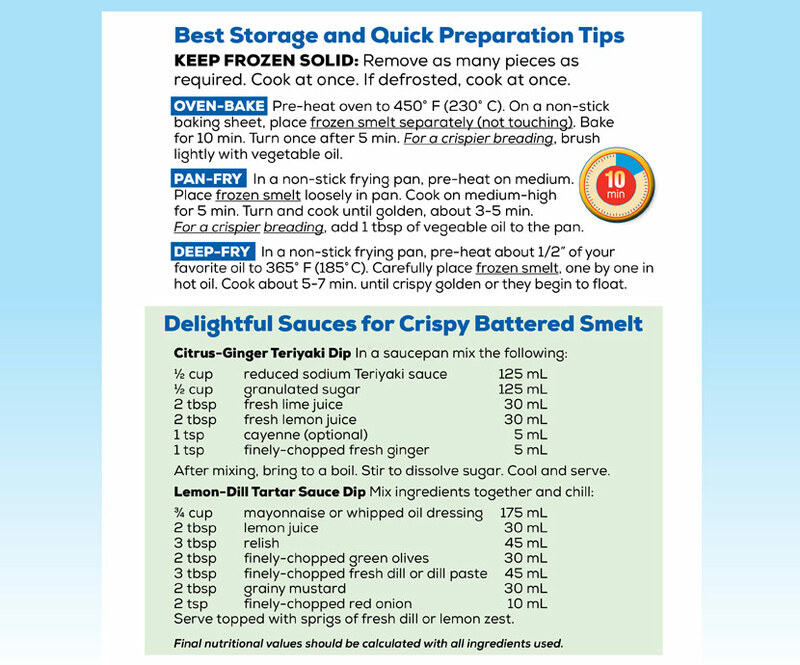 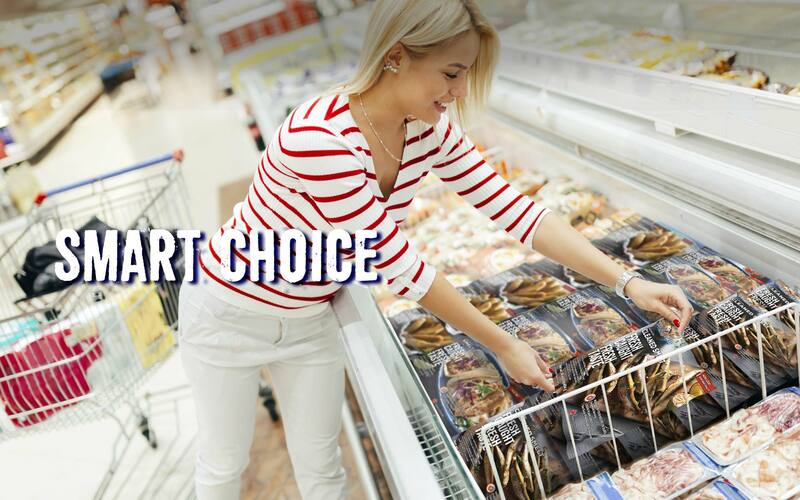 All-natural, rich in nutrients and a distinctive sweet taste provide a delicious wholesome meal or tasty appetizer with quick and easy preparation.Look for our signature packaging with delightful quick-prep recipes in the frozen food section of supermarkets and specialty stores. 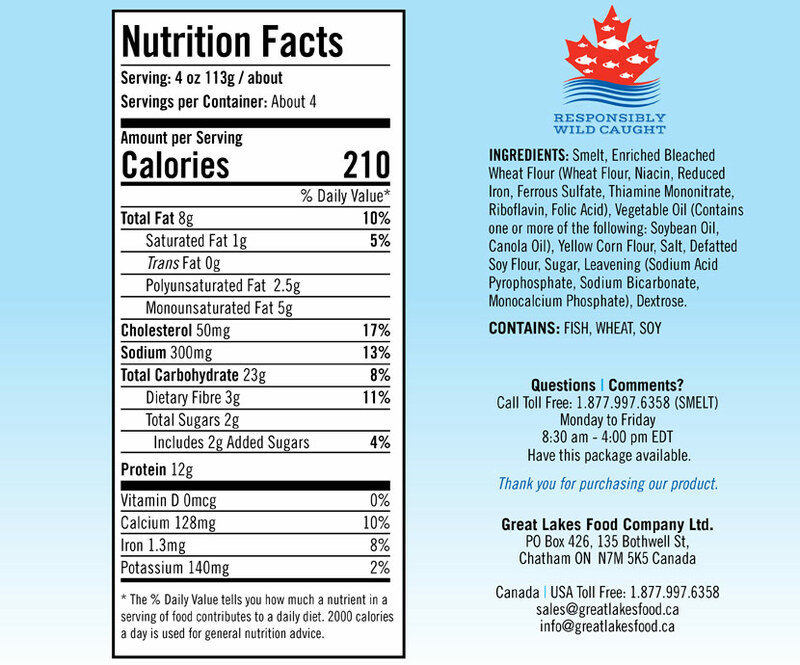 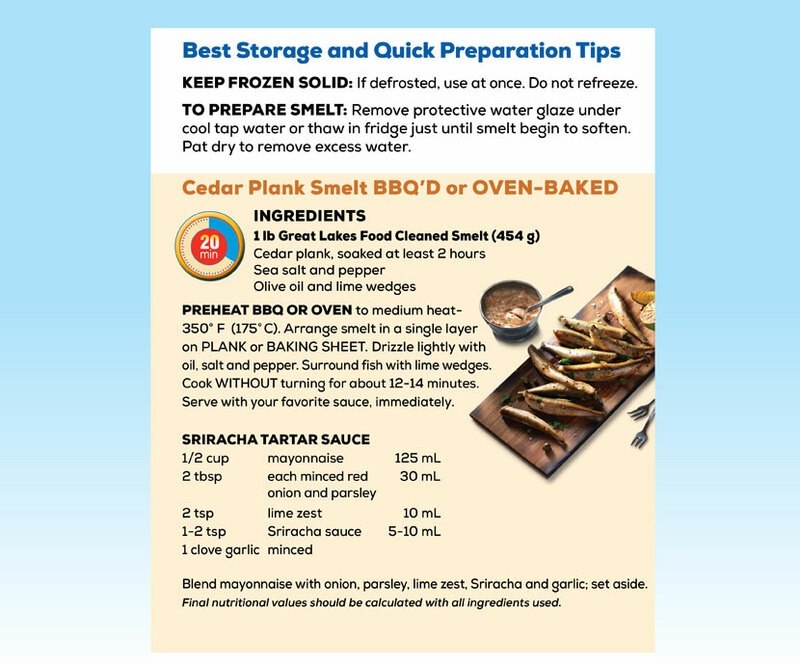 Click on each package for product highlights, nutritional facts and recipe ideas.